Microsoft, Amazon and Apple are gearing up for an aggressive tablet computer battle in the UK, in the lead up to Christmas. Microsoft has revealed it will launch its first ever tablet in the UK on 26 October, the day after Amazon launches its Kindle Fire tablet range in the UK. Meanwhile, Apple is expected to unveil an iPad Mini tablet on the 23 October after sending out an invite that claimed, "we’ve got a little more to show you". Apple is renowned for launching devices shortly after revealing details of products at its much hyped press conferences, meaning the rumoured iPad Mini is likely to launch well before Christmas. The Microsoft Surface tablet will cost £399 for the entry level version, rising to £559 for the 64GB version. 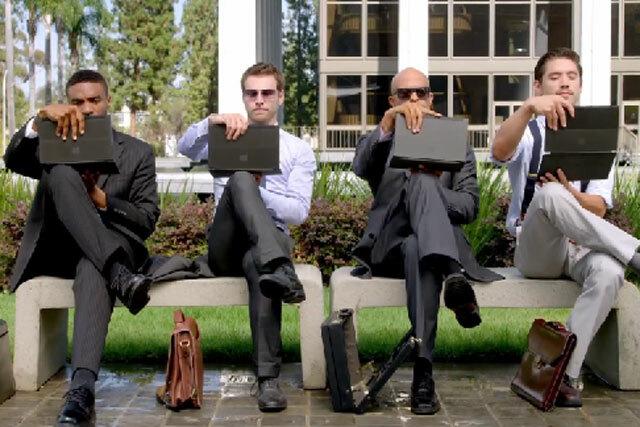 Microsoft has already unveiled the first ever advert for its tablet computer, but Microsoft is not commenting on whether the US-made ad will air in the UK. Amazon’s seven-inch Kindle Fire HD with 16GB storage will cost £159 when it launches in the UK. It will be available through retail partners including Waterstones and Carphone Warehouse. Apple and Amazon are increasingly squaring up to each other as speculation grows about the potential release of an iPad Mini, which would compete directly against the Kindle. Amazon is also bringing an 8.9 inch Kindle Fire to the UK to rival the iPad. Google sells the Nexus 7 tablet in the UK, which it makes in conjunction with tech manufacturer Asus.